Here in Georgia we’re waiting on the storms to roll in. As we need the rain desperately it’s an excited wait. 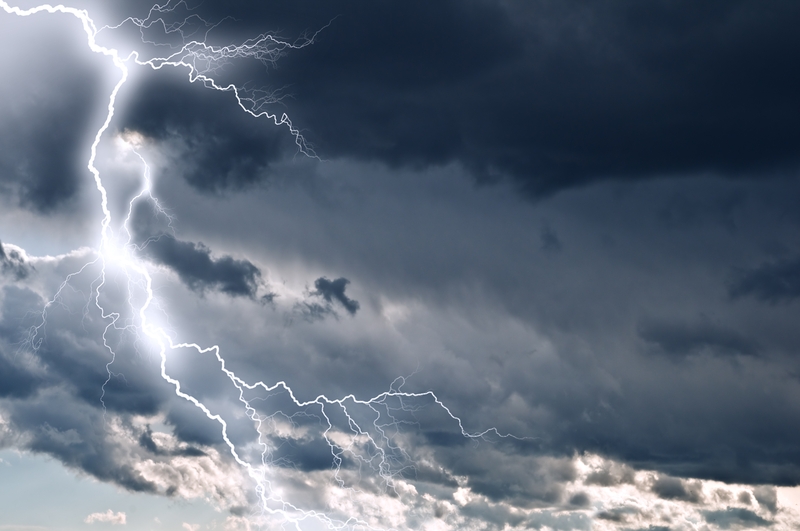 For some though the thought of storms rolling in makes them uneasy and with good reason. For me, I enjoy a good summer storm, not bad mind you, just a little thunder and rain. It cleans the air and rejuvenates the plants. I told in an earlier post about regrowing my lettuce. Last night my hubby and I planted my six starters. Since we’ve got an 80% chance of rain it’s the best time to plant them. Of course the kid in me went to the french doors that lead to the back patio first thing this morning to see if they’d grown. Yeah, I know I only planted them last night, but it’s exciting. Several have asked how Chase is coming along. I have to say really well. He’s an interesting character to write about and maybe one of the most versatile in my writing world at the moment. I’ve learned a lot about the rodeo while writing this one. It’s been eventful to say the least. I hope to have a release date in the next week or so. I’ve been playing with the idea of entering a book in the Mills & Boon RoWriLife contest. The contest will take a self published book that’s already been published, but since they have to be at least 70,000 words, well that means if I’m to enter I’ve got to get busy writing a new manuscript like ASAP! The fun thing is it will be a challenge. The first chapter and synopsis is due mid July and the winners announced in mid August. The winner then has until September 30th to produce a finished manuscript to turn into Mills & Boon. I’m planning on taking that challenge and yes I realize that if by some wild, off the beaten path chance that I get to the top choices, I’ll have to complete a full novel in just under three months. It’s possible and I’ve completed two books in that time that added up to a little more than that so I know I can do it. What’s your plans for the day? Something fun I hope. Categories: Uncategorized | Tags: Challenges, contests, Cowboys, fun, Georgia, Lighntning, Mills & Boon, novels, Production, Rain, Romance, Storms, Surprises, Word Counts, Writing | Permalink. Good morning! We’ve made it halfway through the week… It’s been a really crazy couple of weeks. For one the heatwave that we’re in here in the south is almost too much! With the high temps and really high humidity, you walk outside for just a minute and you’re soaked. Where’s the rain when you need it? Although my family says I’m crazy, I’ve been completing my 4 mile walks three evening a week and yes about one mile in I’m questioning myself. But I’m on a diet and exercise is part of it. 4 Star **** Is there a Dr in the house?? In Ridge by Stephanie Hurt, meet an ex-soldier who is struggling through life with PTSD, until the day he meets ‘the One’ and his world turns upside down. Ridge is the oldest Cauthen boy. He grew up in a big, happy family. Ridge is kind and caring, always looking out for his younger siblings and others who need help. So when the time came, he enrolled in the army and served his country. But two years in Iraq broke him. There is so much a kind heart can take, and his heart has taken and seen enough. Now he is back home and working at the family ranch. Getting away from the war didn’t help much. He is still fighting off the enemies in his mind. Every night is a struggle with nightmares, but they never end. His family loves him and is kind to him, but how much longer are they going to stay that way? When luck brings Mallory (a new vet in town) to him, he is not sure he wants to have her in her life. Can she truly love him? Can she accept him with all his broken parts inside? Ridge by Stephanie Hurt is a novel that will fill your heart. You will feel so much compassion and kindness for Ridge that you will tear up. Ridge is such a nice guy; he is kind and very sweet. This novel showed how pointless wars have destroyed the lives of many men and how they are suffering because they pledged to protect their country. When you sit down to read the novel, keep a tissue box nearby because you will need it. A really good novel. So, this made my month, but then it got even better! How could it get better you might ask, well, I received an email that a bookstore about an Hour & a half from me asked me to come do a book signing, which made me smile. We’re working on a date in September, but I’ll give more info as it comes. It’s just been an exciting couple of weeks which kept the really hot weather even hotter because with the excitement comes major hot flashes (Wink-Wink) don’t you just love those ladies! So, how’s your summer going so far? 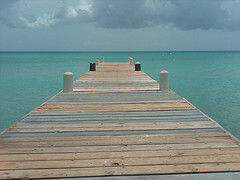 Is it hot where you are or for my friends across the globe how’s your winter? 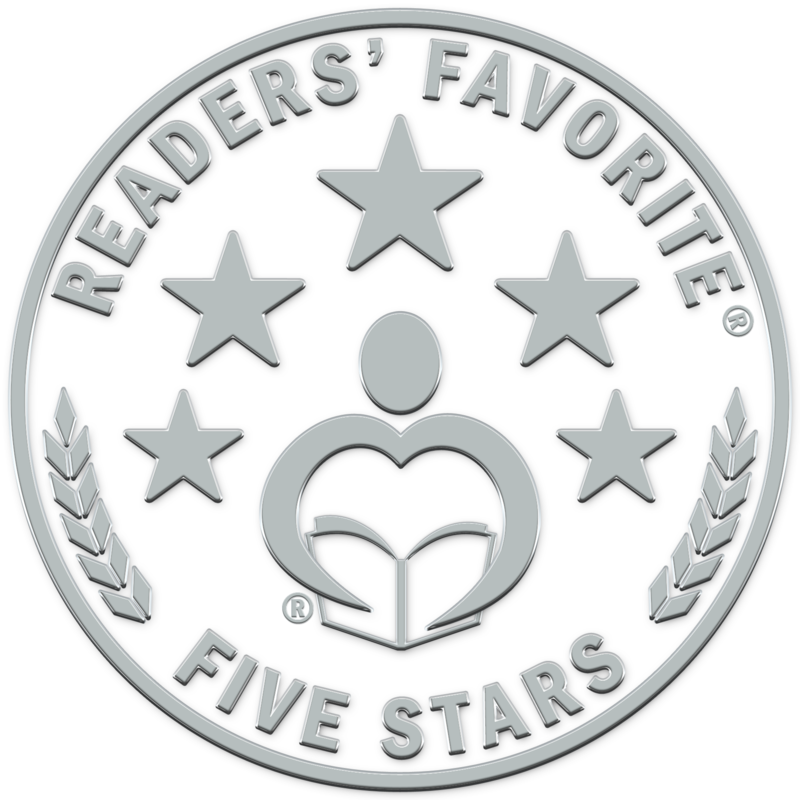 Categories: Uncategorized | Tags: #amwriting, Author, Authors, Five Oaks Ranch Series, Five Star Review, Hot Flashes, Reader's Favorite, Reviews, Ridge, Rosie Amber, Summer, Writing | Permalink. If you cut it off, it will grow back, Who knew! You may be wondering what I’m talking about. Today’s post is two fold. Since I’m on a low calorie diet, that means I’m eating salads, salads, and more salads. That means I’m buying lettuce constantly. A couple of weeks ago as I scanned down the many thousands of posts on Facebook I ran into an article about regrowing lettuce. Well since I’m eating so much lettuce (feeling somewhat like a rabbit) I decided to read the article instead of passing it by. It was talking about the kind of lettuce that I eat, which is Romaine. All you do is cut the hard end off which you can’t eat anyway and put it in a cup of water. Now I have letter regrowing in my cups. Yes I did a happy dance on my patio the other evening when I saw my little lettuce sprouts reaching up to the sky. Of course my hubby and son laughed at me and they’ve played some really mean tricks on me regarding my little baby lettuce sprouts. Who knew you could grow lettuce from your cut off stalks, well maybe some of your knew, but I didn’t. As for the 2nd meaning, I’m talking about your manuscript. I’ve been working on Chase, the 3rd book in the Five Oaks Ranch series and something just didn’t feel right about one of the scenes. I read it and reread it until my eyes crossed. Then I made the decision to cut the whole scene and start over. Guess what? It worked! Once I decided to delete the whole scene that wasn’t sitting right with me, I felt better. Then as I started back over with this section of the book it took on another feel altogether and actually led into another scene I hadn’t even thought of. So, it helped to cut it off and let it regrow and then it multiplied! Now that’s the kind of cutting off I like. So, how’s your writing going? I hope it’s going well. Also, have any of you ever replanted something in order for it to regrow and multiply. I’d love to hear about it. Categories: Uncategorized | Tags: #amwriting, Author, avonromance.com, better, dieting, Editing, exciting, Facebook, Lettuce, manuscripts, News, salads, Southern Writer's Magazine, Southern Writer's Mic Nite, Stephanie Payne Hurt, Writing | Permalink. It’s summer and the time to go to the beach. If your not headed to the beach, but maybe a staycation at home, then now’s the time to fill up your Kindle. We all know that summer is our time to give back to ourselves. For me that means getting in some reading while sitting in the shade, sipping cool, sweet tea. With that thought in mind, I’m offering a huge Beach Sale on all of my standalone e-books through Amazon. For the summer they will be .99, yes that’s right, .99. What’s a little sacrifice among friends. So head over to my Amazon author page and grab a couple or all of them before the summer ends. I might extend the sale to other sites where my books are available, but for now it’s only Amazon. By the way, try to stay cool! Categories: Uncategorized | Tags: #amwriting, Amazon, Authors, avonromance.com, Beach, Beach book sale, Home, Kindle, reading, Stephanie Payne Hurt, Summer, vacation, Writing | Permalink. Good morning! Hope all is well. For me, well, all I can say is I’m pleasantly exhausted. This has been a crazy week with VBS, but it ended last night. By the way it was great! As for my writing I’ve been reading a lot of articles about writing lately. It’s amazing the amount of information out there for authors. Some of it is really good and others not so good. We need to remember that in order to stay up to date and on our game it’s important to make sure our skills stay updated. It’s a business just like any other. For instance, with my Accounting business I need to take courses yearly to stay on top of my game and to make sure that I am current with all the regulations and laws. Everyone can use a little nudge here and there. One of the articles I read this week was about the use of adverbs. It was an eye opener. I went back over one of my older manuscripts and well let’s just say I wasn’t happy. The article made me think about the words I used and why maybe they weren’t the best choices. Have you been keeping your craft polished and publishing ready? If we keep our skills up to date then we will make a better manuscript on the first try. I’ve changed my writing style in the last three years due to studying the rules and using the information to make my writing better. It helps make your work stand out. So, try reading some articles every week. Make your work the best it can be and you’ll see the results in better sales. it will also help with the editing process. Categories: Uncategorized | Tags: #amwriting, Articles, Authors, avonromance.com, Editing, manuscripts, Publishing, skills, Writing | Permalink. June, the month for weddings! 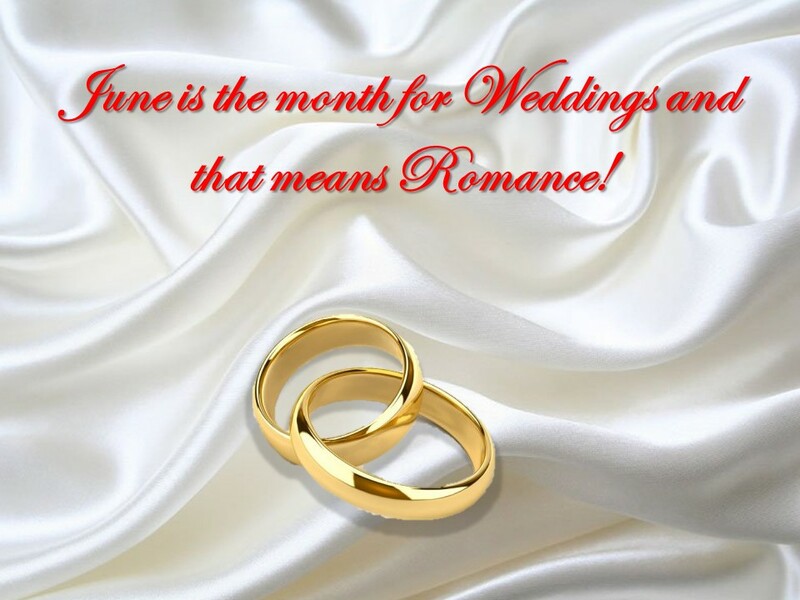 June is the month for weddings, which means it’s the month for Romance! Now you know I love romance if you’ve spent any time around my blog or books. Of course it’s also the start of summer which gives everyone this wonderful feeling of freedom. I enjoy this time of year when things are relaxed and laid back. Then you have the weather. What better time to have a wedding then in June. The weather is warm and the pictures are gorgeous with the green grass and trees, even blooming flowers in the background. Sometime when you have a little time, google June weddings. It’s interesting reading about all the meanings behind it. For me a wedding is romantic any time of the year. My wedding was in February. It was sleeting outside and really cold. But I think it was really romantic and I’ll never forget it. But unfortunately some brides want to forget their wedding days. That’s sad but true. So let’s keep romance alive. I strive with every book I write to keep romance alive in the hearts of my fans. I’ve even turned some men into romance readers. Maybe it will change someone’s heart, maybe not, but it’s fun trying. Do you believe in romance? Categories: Uncategorized | Tags: #amwriting, June, June Weddings, Romance, romantic, Weddings, Writing, Year | Permalink. Good Wednesday morning! It’s beautiful this morning here in Georgia. The sun’s streaming through the window and the birds are chirping happily, but according to the news we have weather headed our way for the afternoon, but this morning I’ll enjoys the beauty in front of me. Well on to today’s topic, Research. No matter what genre you write, a little research is needed. For me I read constantly and watch a lot of romance on television. It’s a must when you’re a writer. I try to keep up with what’s new and happening in the romance field. As for watching romance on television, all it takes is a spark and off to the writing I go. My favorite station is Hallmark. The romantic movies give me inspiration and also an idea of ways to make a story flow. Remember, all of these were written by someone. Some of their movies are actually based on romance novels, which is exciting. Especially if I’ve read the novel, then I sit and compare it. Of course I’m a avid reader, constantly plowing through the thousands of books to get to the one that just pops out at me. Sometimes it’s the cover that pulls me, or maybe the title. A cover can sell a book quicker than the blurb, really, it’s happened with me. I’ll see a cover that just pulls me in and that’s it. Of course I’ve been disappointed, but even a badly written novel can offer research ability. I make notes of what turns me off about the book. Maybe it’s wording or just the scene placement. But reading is a fun way to research about your genre. Another way is to scan Amazon. Yes, I said scan it. Type in the genre or sub genre you’re currently working on, then see what’s selling. Look at the covers, the blurbs and the reviews, which are important. This will keep you current with the pull of the readers. So, do you research your genre? If not, I suggest doing a little checking. It’s amazing how much fuller your writing can be when you delve into the subject at hand. You might be pleasantly surprised. Categories: Uncategorized | Tags: #amwriting, Amazon, Author, avonromance.com, Google, Hallmark Channel, Learning, reading, Research, Romance | Permalink.